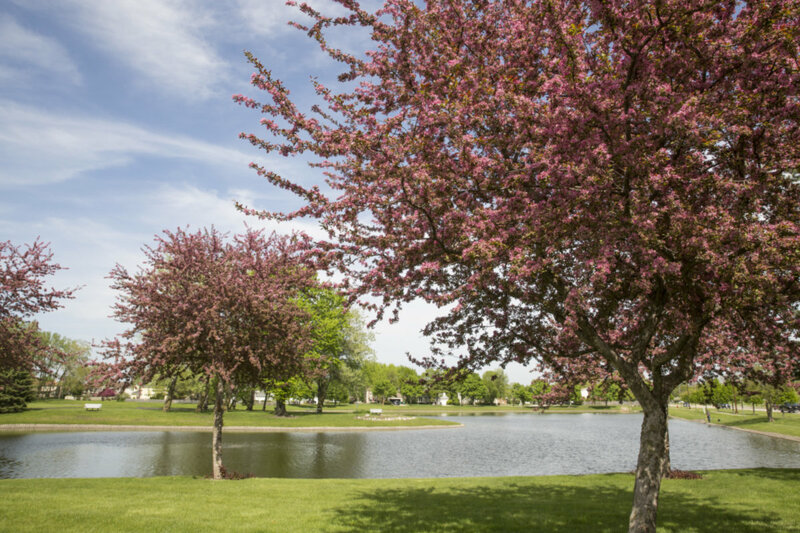 BEST PARK VIEWS PROVIDE THE IDEAL SETTING FOR THIS SHARP END UNIT FARMINGTON II. DRAMATIC LAYOUT FEATURES VAULTED CEILINGS, 3 BALCONIES, AND COZY BRICK FIREPL. NEWER AMENITIES INCLUDE 2 YR. REFRIG., 3 YR. C/A, 3 YR. WASHER & DRYER, 3 YR. LAMINATE KIT. FLR AND 5 YR.FURNACE. REMODELLED CERAMIC TILE BATHS. MBATH W/ WHIRLPOOL. PLUSH CHAMPAGNE CRPT. PERFECT INSIDE & OUT. 1132 Courtland Drive #1132 Buffalo Grove, Illinois 60089 is a condo property, which sold for $133,500. 1132 Courtland Drive #1132 has 2 bedroom(s) and 2 bath(s). Want to learn more about 1132 Courtland Drive #1132 Buffalo Grove, Illinois 60089? Contact an @properties agent to request more info. 1132 Courtland Drive #1132 is back on the market!